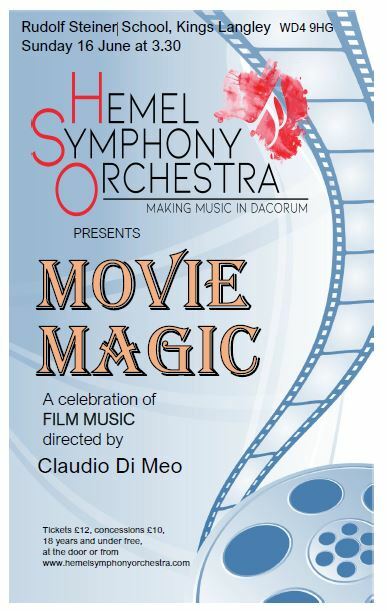 Tickets will shortly be available to see the Hemel Symphony Orchestra perform at the Rudolph Seiner School on Sunday, June 16th. Join us for an afternoon celebrating the magical music of the movies. 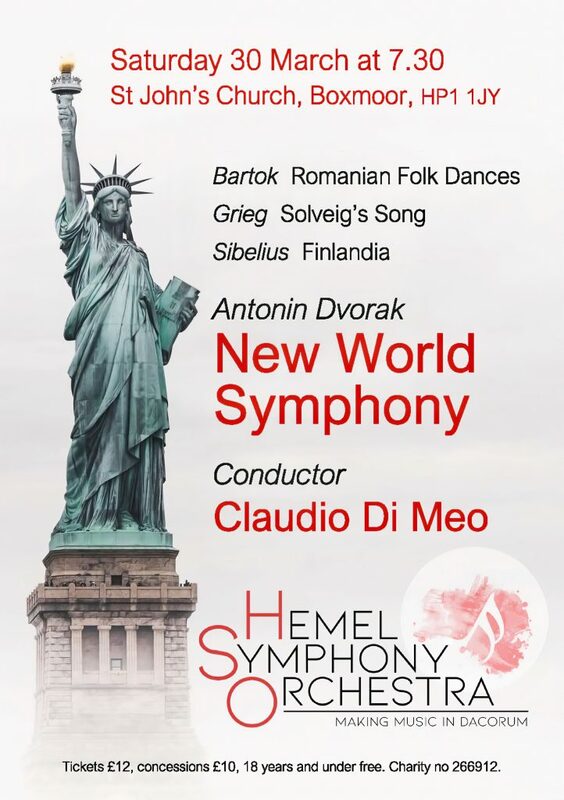 Tickets are now available to see Hemel Symphony Orchestra perform at St. John’s Church in Boxmoor on Saturday, March 30th. Join us for a evening of music evocative of the composers’ pride in their own national heritage and that of others. Further details of the concert, including links to buy tickets online, can be found here.